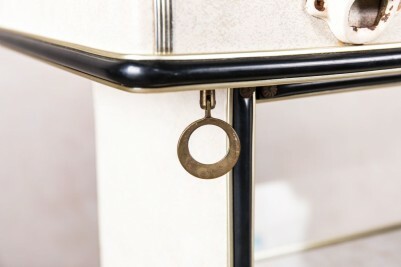 This 1960s is a highly unusual item. 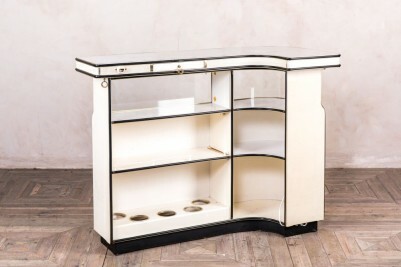 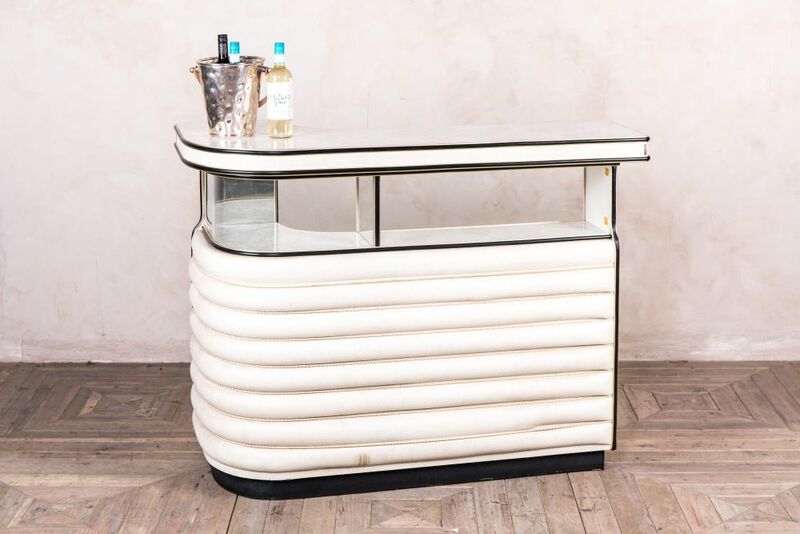 It would be a fantastic retro feature for a bar, shop, or salon. 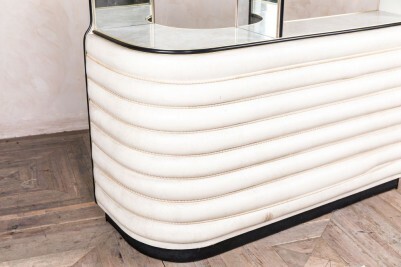 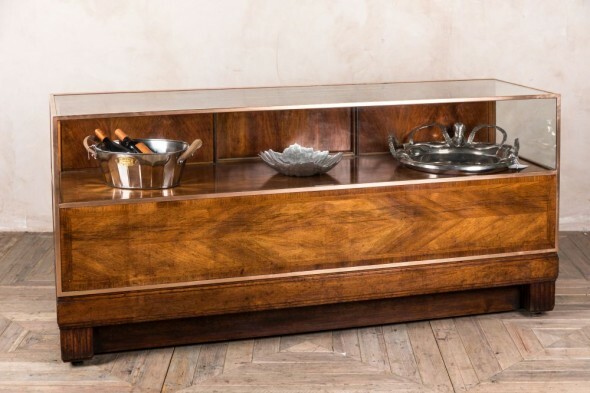 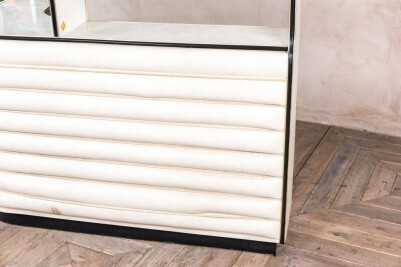 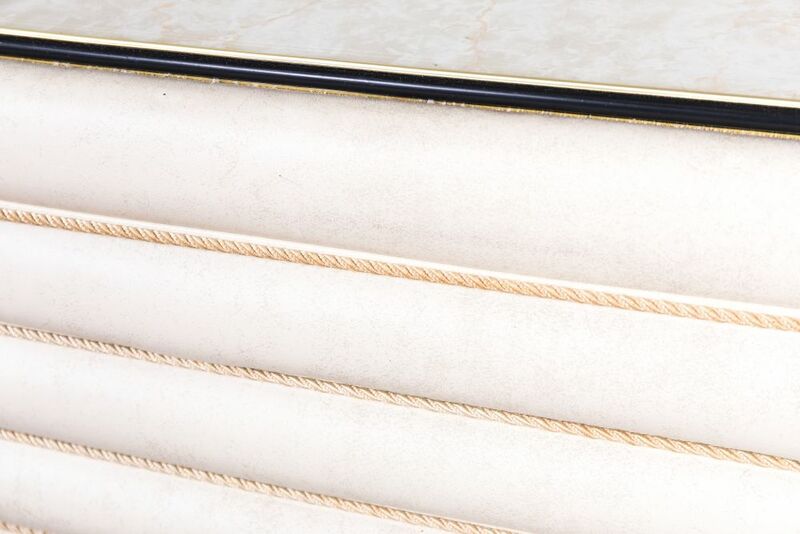 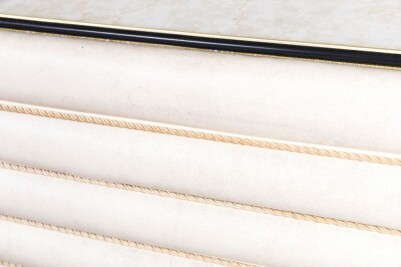 The bar is curved, with ribbed cream leather upholstery on its exterior. 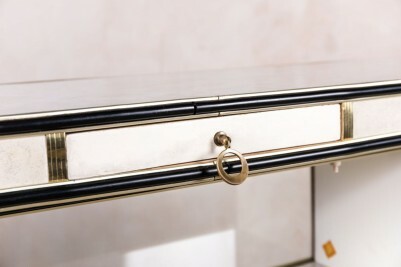 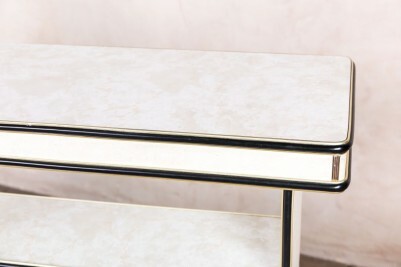 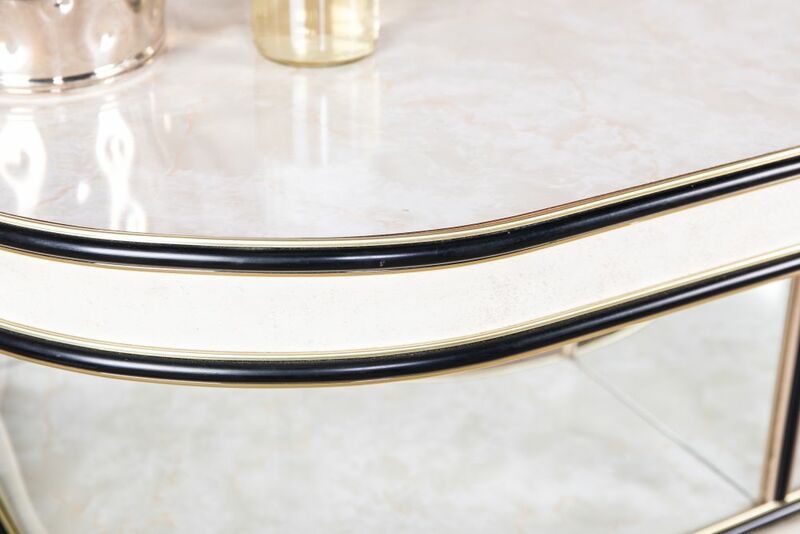 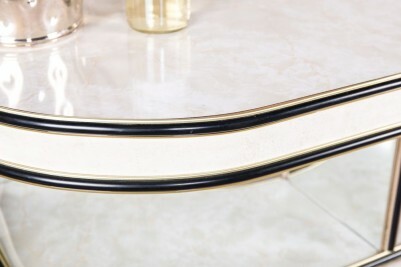 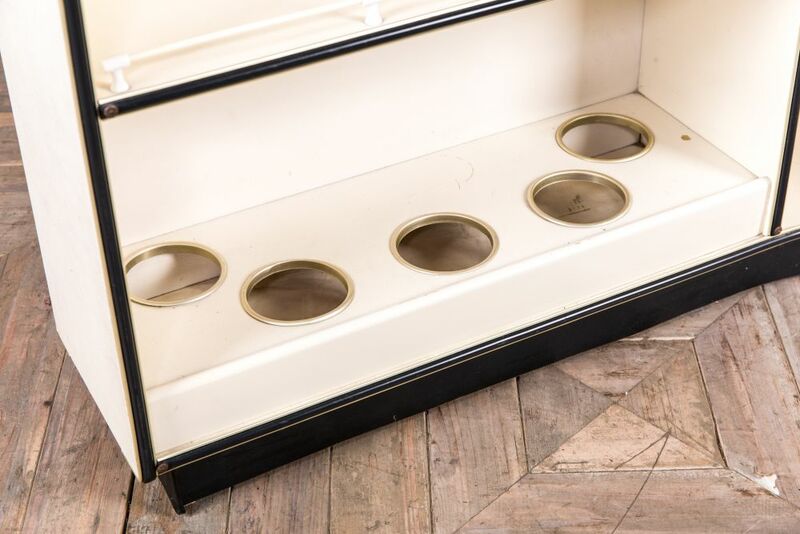 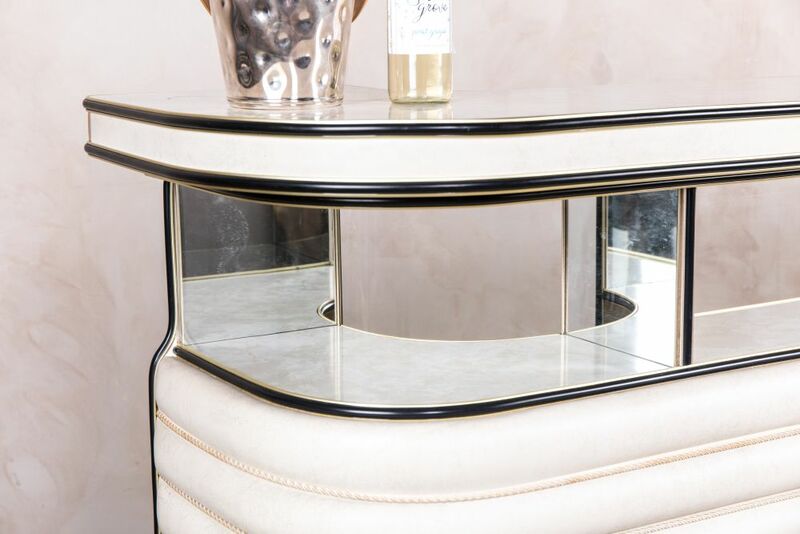 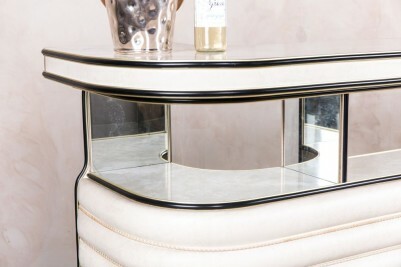 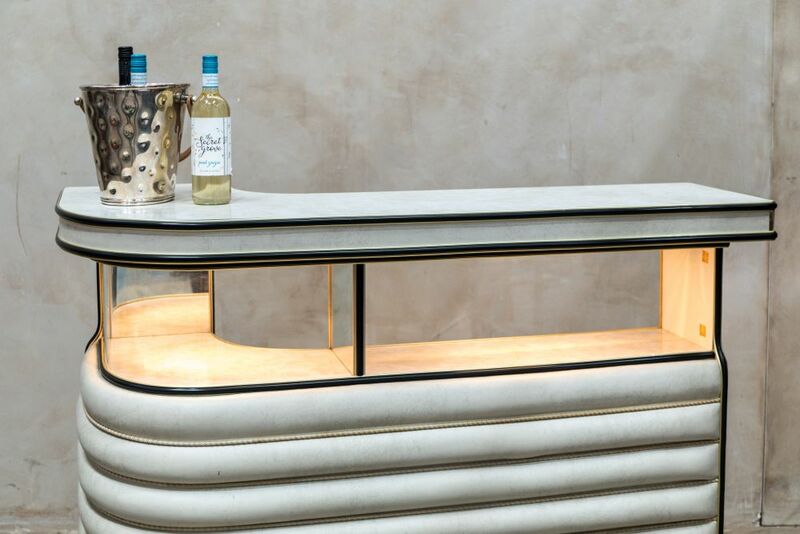 The top of the bar and the shelf are marble effect, with black and gold edging. 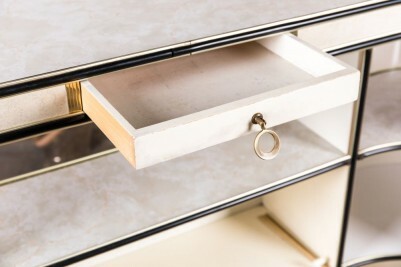 The shelf also features mirrors at either end, as well as working lighting to better display items. 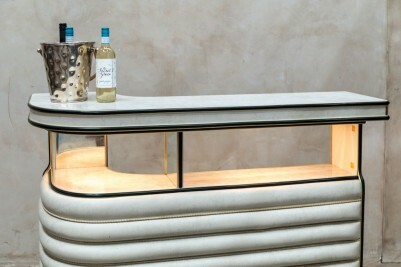 The bar could be used as a unique shop counter or bar. 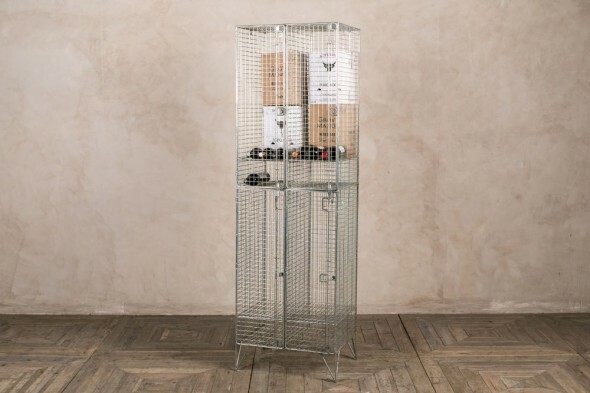 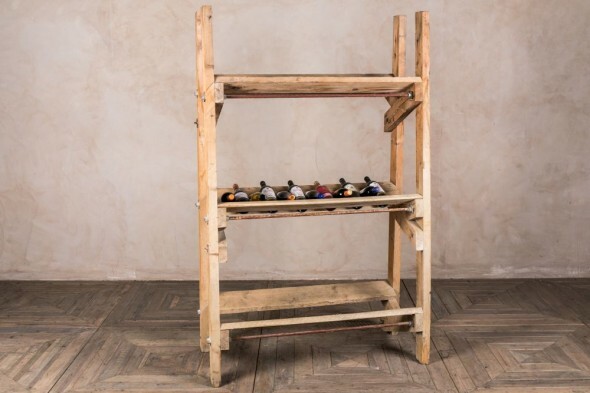 Inside the bar are more shelves, a drawer, and space at the bottom to store bottles. 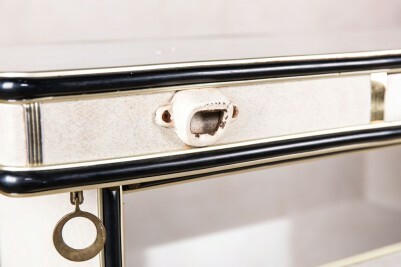 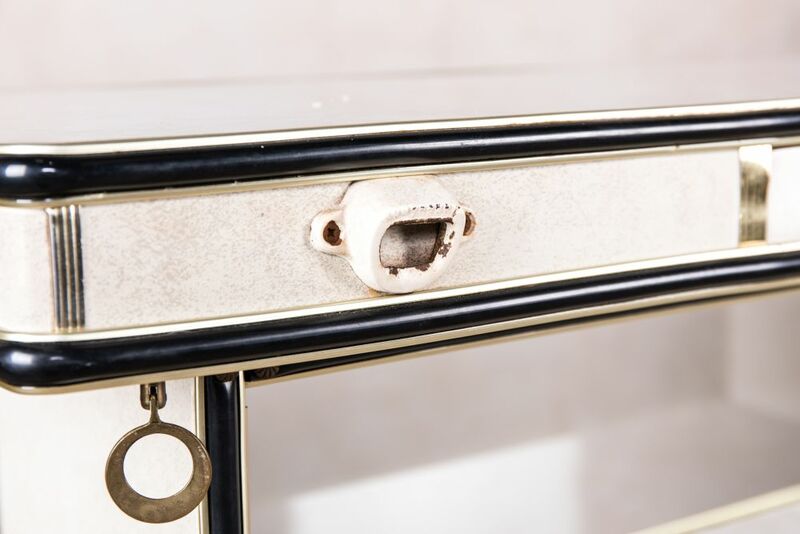 As this 1960s bar is a vintage item, please allow for some signs of wear and tear.